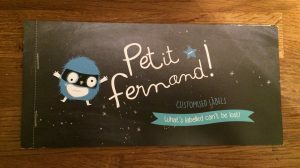 When Petit Fernand approached me and asked me to try out some of its personalised clothing labels, my initial thought was that I probably don’t need them for an almost two-year-old child. Those sorts of things are for children who are going to school, surely? But I was wrong.